Congress ended the federal government shutdown after three days on Monday, allowing thousands of federal employees that had been furloughed in Alaska for a day to head back to work Tuesday. The effects of the short shutdown that began Saturday were expected to have little to no economic impact in Alaska, though public meetings planned for this week were canceled, including one weighing offshore drilling in the U.S. Arctic Ocean. Alaska has about 11,000 federal employees if you don't count employees with the U.S. Postal Service, which was not part of the shutdown, said Dave Owens, Alaska representative for the American Federation of Government Employees, representing unions for federal workers. He said at least 5,000 federal employees were furloughed in Alaska Monday. "That's a very conservative number," he said. The measure to reopen the government passed the Senate and House Monday, ending the impasse sparked by immigration issues. It approves a short-term funding measure to keep the government open until Feb. 8. "We may be talking again in three weeks," Owens said. "It's a crazy way to do business." Rep. Don Young blamed Democrats for the shutdown, saying it was not needed to continue immigration reform discussions. Sen. Lisa Murkowski said it's now crucial to have a broad discussion about immigration and prioritize protection for recipients of DACA, the law that protects many people who were brought illegally to the U.S. as children. Sen. Dan Sullivan said the measure extends the Children's Health Insurance Program for six years and will allow talks on a long-term spending plan. "The American people deserve better," he said. 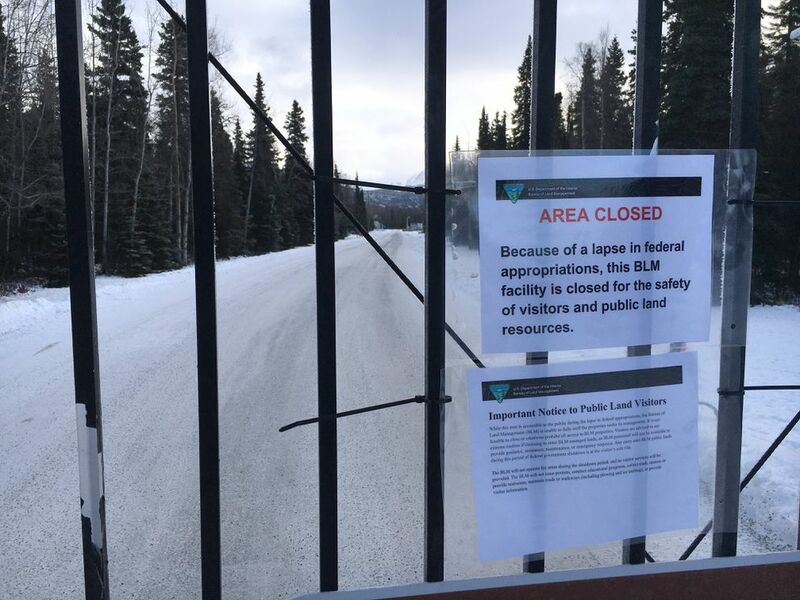 The shutdown upended schedules for the week in Alaska. Rick Thoman, a climate scientist with the National Weather Service here, said the shutdown forced him to cancel plans to be a keynote speaker Monday at a marine science conference in Anchorage. Instead, he was at home in Fairbanks, on furlough. "When the phone rang I hoped it was my boss saying the shutdown is over," he said. "I'm twiddling my thumbs, waiting for that." Thoman said he was not permitted to work Monday and was speaking as Rick Thoman, individual. Also unable to attend the Alaska Marine Science Symposium because of the shutdown was the opening keynote speaker, Tim Gallaudet, acting administrator at the National Oceanic and Atmospheric Administration. Molly McCammon, a symposium organizer, said Gallaudet was texting her and looking for a last-minute flight to Alaska, in case Congress made a deal Saturday night. She called the loss of two of four keynote speakers "incredibly frustrating." But with the shutdown's end, she said she was hopeful other federal employees scheduled to speak later in the week could do so. 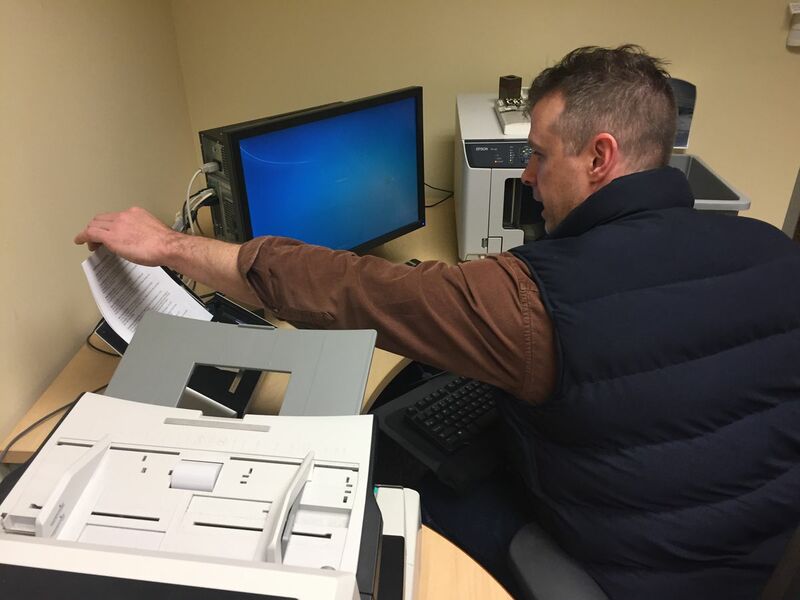 John Callahan, a spokesman with the Bureau of Ocean Energy Management, was allowed to be in his Anchorage office early Monday for four hours, to send out last emails and take other steps before closing down his office. The shutdown led to the postponement of a meeting planned for Tuesday and organized by the agency, on a proposal that could allow offshore leasing and drilling off Alaska coasts, including in the U.S. Arctic Ocean. BOEM officials traveling to Alaska for the meeting had to cancel flights that could not immediately be rescheduled, Callahan said. The meeting was the only one in Alaska planned for a draft proposed five-year U.S. offshore drilling plan that would start in 2019. Other federal agencies, including the Fish and Wildlife Service, announced the postponement of the Federal Subsistence Board work session scheduled for Jan. 24-25 in Anchorage. The board manages the federal subsistence program in Alaska, establishing hunting and fishing limits in much of the state. A rescheduled date has not yet been set for the offshore drilling meeting, or the subsistence board meeting. With its large land ownership in Alaska, the federal government has a huge presence here. About one in 20 Alaska wage and salary jobs are federal, not counting the military. Federal employment is one of the best-paying sectors in the state, at an average of about $78,000 annually versus the statewide average of about $53,000, Neal Fried, an economist with the Alaska Department of Labor and Workforce Development. The state has about 21,000 military service members. The 16-day shutdown in 2013 didn't leave even a "blip" on Alaska's economic data, he said. Still, a long shutdown could leave a noticeable mark as salaries, grants to state agencies and other federal services go unfunded, he said.